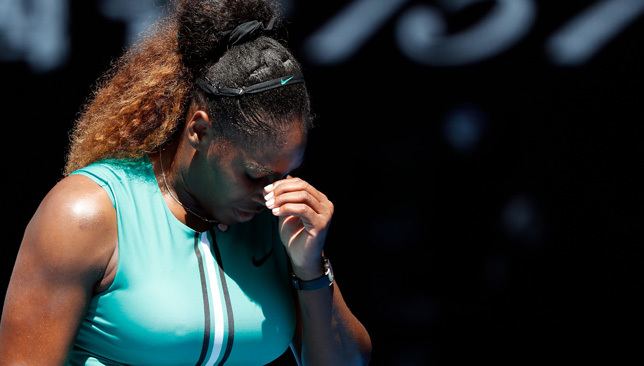 Serena Williams stepped up to the baseline to serve for a place in the Australian Open semi-finals, up 5-1 in the decider against Karolina Pliskova. She’s one hold away from a rematch with Naomi Osaka in the final four. She hits a 161km/hr serve and the tall Pliskova reaches wide and slams down a forehand return winner. Williams applauds the shot to go down 0/15. The American then aces for 15/15. Pliskova hits a deep backhand return on her opponent’s second serve in the next point, which ends with a forced backhand error from Williams. 15/30. Williams aces to make it 30/30. The American gets her first match point with another service winner. The crowd starts to cheer, it’s 4-6, 6-4, 5-1, 40-30. Williams is one point away from the semis. She unleashes a 180km/hr serve but the line judge calls a foot fault, for the first time in the match. On her second serve, Williams rolls her ankle and loses the match point on a netted forehand error. Deuce. She double-faults on the next point giving Pliskova a break point. Williams didn’t win another point on serve after that, losing the game, and the following five in a row to lose 6-4, 4-6, 7-5. Pliskova saved four match points in total and broke Williams at love twice to secure what she describes as “the best comeback ever so far in my life”. Only in tennis can something as tiny as a foot fault – a call we rarely encounter in the sport – change the course of a match in such a dramatic way. Williams refused to use her ankle roll as an excuse, but it surely affected her while serving considering she never won a point on serve after that moment. Huge credit to Pliskova though for starting the match in such commanding fashion and bringing out her best – Williams described it as “lights-out tennis” – when she needed it the most. A one-legged Serena can defeat a lot of players if all she needs is one game. But Pliskova made it impossible for the American to do that. It may seem cruel to some to see Williams’ quest for an all-time record-equalling 24th Grand Slam end like this, but it’s also lovely to see Pliskova showcase her capabilities on the sport’s biggest stages once again. This is how she explains why she doesn’t tend to get intimidated by facing Williams. “Before the match, this time I really believed, like, it’s still a player, I know she’s the greatest ever, but I don’t want to put her somewhere where I would not have a chance to beat her. I beat her before. She was No. 1 at that time. I knew I’m going to have my chances. But I had to play well,” explained Pliskova. Williams has now lost two Grand Slam finals and a semi-final since she returned from maternity leave 10 months ago. She is determined to match Margaret Court’s all-time record and admitted in press that her attention will automatically shift to her next opportunity, which is Roland Garros. Petra Kvitova and Ashleigh Barty have proven to us time and time again that win or lose, they are two of the classiest athletes across all sport. They just provided us with another reminder this week when they faced off in the quarter-finals. It was a rematch of their Sydney final from earlier this month but unlike that match, their Melbourne showdown was a one-sided affair with Kvitova cruising past Barty in straight sets. After the match, Barty paid full credit to Kvitova, who just two years ago was unsure whether she’d be able to play tennis again after getting attacked and stabbed in her left playing hand by an intruder in her apartment in Prague. “She’s amazing. She’s an amazing human being. I think she’s beginning to play her best tennis again. 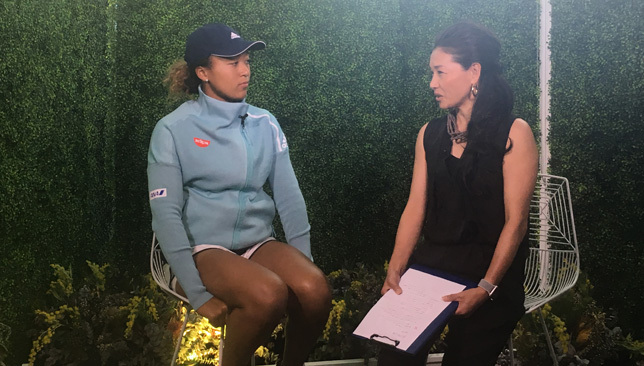 I was fortunate enough to play her in one of her first tournaments back in Birmingham a couple years ago,” said the 22-year-old Australian. “We all know what Petra can do. She’s a Grand Slam champion. She’s proved she can beat the best, be very close to the best. I think she’s been No. 2 in the world before. She’s certainly got the game and the attitude to be able to take it to anyone. Gracious words from Barty, especially after a tough loss on home soil. Kvitova said of her opponent in her press conference: “Ash is great. She’s a great person and great player, as she showed. I think it’s not really easy to play quarterfinal of the slams at home. I know the pressure when I’m playing home, as well. It’s not easy. Surprise semi-finalist Danielle Collins’ cousin flew all the way from Minnesota to be in her box for her quarter-final match against Anastasia Pavlyuchenkova. How cool is that? “My cousin is here, very close with her. She’s one of my closest family members. She flew all the way from Minnesota today. She said, ‘I don’t know if I’ll make it in time for your match’. I said, ‘I think you can make it’. She put everything together, got on a plane and got here,” revealed Collins. 0 – wins for Lucas Pouille from his five previous appearance at the Australian Open. He’s now into the semi-finals. 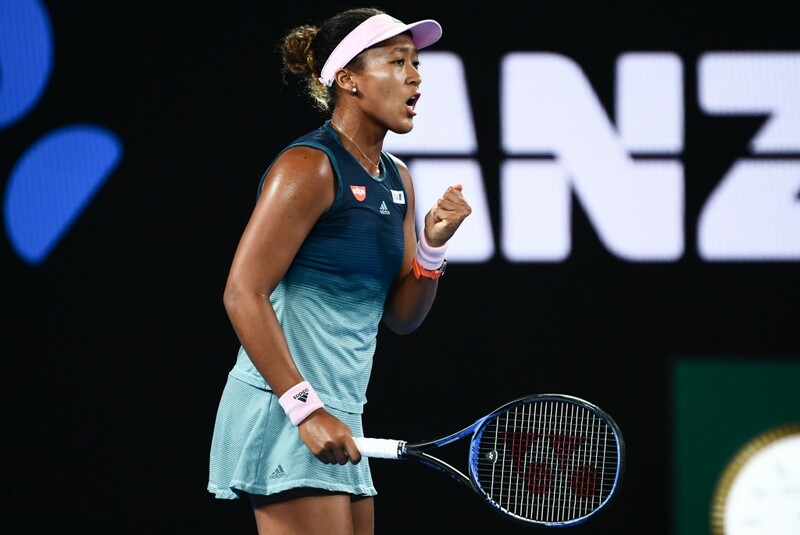 1 – Naomi Osaka is the first Japanese woman since Kimiko Date in 1994 to reach the Australian Open semis. 2 – service games dropped by Rafael Nadal throughout his first five matches. 3 – female coaches are in the semis in Melbourne, Conchita Martinez and Rennae Stubbs with Pliskova, and Amelie Mauresmo with Pouille. 15 – unforced errors struck by Pliskova against Williams across three sets. 16 – wins and one loss, Conchita Martinez’ record as a coach/co-coach at Grand Slams with Garbine Muguruza and Pliskova. 58 – Osaka has now won 58 consecutive matches when winning the first set. Last player to defeat her after losing the first set to her was Svetlana Kuznetsova in the Tianjin quarters in 2016. 79 – per cent, Pliskova’s first-serve percentage against Williams. Clutch! 80 – per cent, Nadal’s success rate on his first serve points so far this tournament. 89 – aces struck by Stefanos Tsitsipas so far this event, the highest tally among the four remaining semi-finalists. Meanwhile Lucas Pouille reached his first grand slam semi-final at the Australian Open with a four-set upset of Milos Raonic. Pouille, the 28th seed, had lost in the first round on his five previous visits to Melbourne but his 7-6(4) 6-3 6-7(2) 6-4 victory over big-serving Canadian Raonic was the latest in a series of strong performances this week. 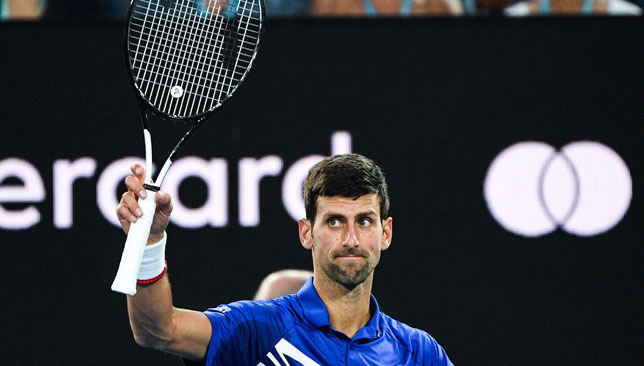 He recovered from a break down to win the opening set, his first in four meetings with Raonic, and put the loss of the third set aside to come through strongly.